The Chinese Space Agency (China National Space Administration) released a pdf this month of Chang'e 2's observations of the moon and recent asteroid Toutatis flyby, translated into English...well, about 50% translated into English. It's reminiscent of those handouts or Powerpoint presentations given at international expos in Asia where just enough has been translated to keep the international visitors from getting lost. 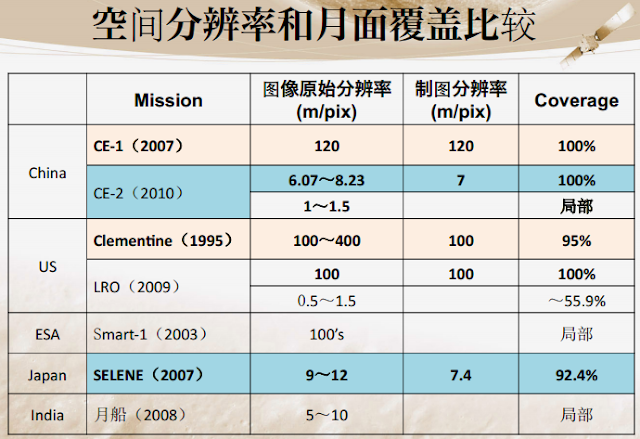 You can see that Chang'e 1 really wasn't much more than a test mission with a resolution of just 120 metres per pixel, but Chang'e 2 has a much more respectable resolution over the entire surface. The second number (1 to 1.5 metres) is the resolution over a more limited area, i.e. at a lower altitude. 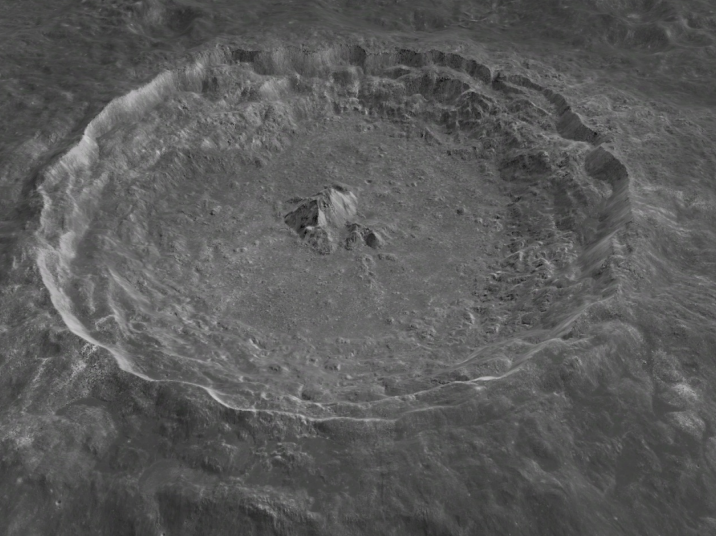 LRO has done the best job of all the lunar probes in achieving coverage of over half the entire lunar surface at a similar resolution; also very helpful in showing Apollo mission sites and more or less putting to end the idea that the lunar landings were staged. Metres per pixel is not everything, of course - India's mission aided in discovering the process by which H2O and hydroxyl is created in the lunar soil.